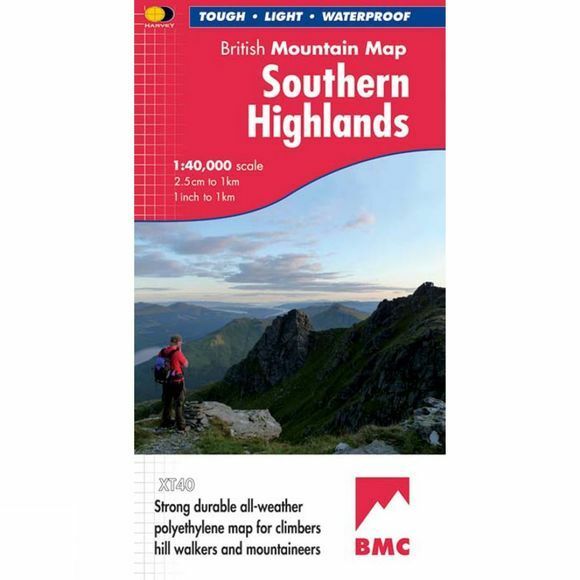 The Southern Highlands British Mountain Map 1:40K from Harvey Maps. Tough, light, durable and 100% waterproof. Genuine original HARVEY mapping. Includes Rights of Way. Tried and tested by the British Mountaineering Council and the Mountaineering Council of Scotland.